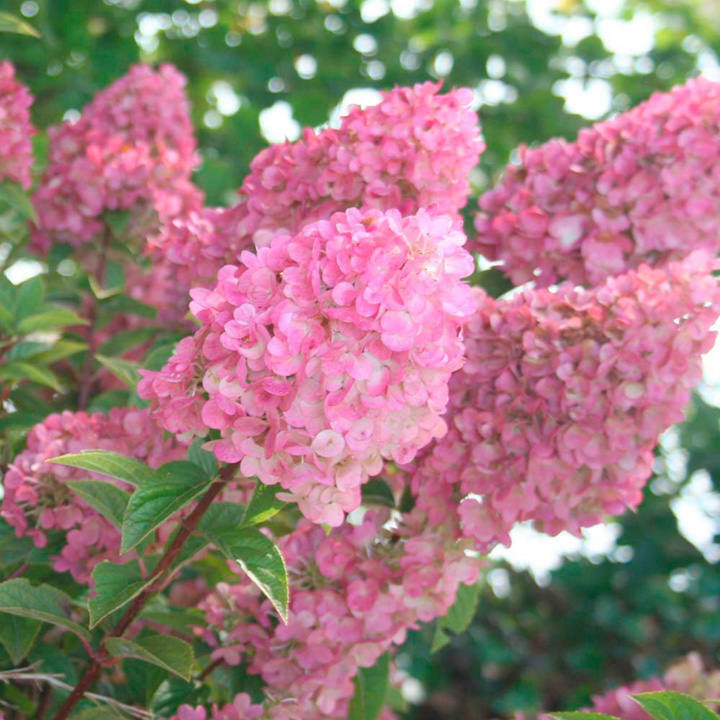 Hydrangea paniculata 'Sundae Fraise' bears spikes of white flowers that are flushed with pink and then deeper reddish-pink in summer and look a little like the colour of strawberry sundaes. Bear in mind that, like other hydrangeas, the colour can vary depending on soil conditions. The compact hydrangea has reddish-brown stems and green foliage. It was produced by French hydrangea breeder Jean Renault. Flowers July-September. Height 100-150cm. Supplied in a 7.5-10 litre pot. Hydrangea paniculata 'Sundae Fraise' bears spikes of white flowers that are flushed with pink and then deeper reddish-pink in summer and look a little like the colour of strawberry sundaes. Bear in mind that, like other hydrangeas, the colour can vary depending on soil conditions. The compact hydrangea has reddish-brown stems and green foliage. It was produced by French hydrangea breeder Jean Renault. Flowers July-September. Height 100-150cm. Supplied in a 3 litre pot or 7.5-10 litre pot.